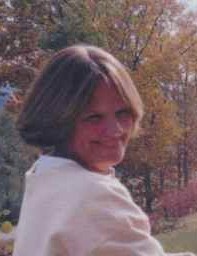 York, Maine-Lois Anne "Cookie" (Jones) Hames, loving wife, mother, grandmother, and friend. She was born March 6, 1944 in Medford, MA, she was the foster daughter of Maria Jane and Harry Everett Jones of Arlington, MA. She was married on May 11, 1963 to Robert A. Hames in Arlington, MA, moving to York, ME in 1966; together they raised 3 much loved children, Christopher, Jennifer, and Jeffrey. She passed away peacefully in their home on March 29, 2019 after a long, sometimes painful, physically and mentally progressively debilitating, incurable, rare neurological illness; but an illness made more tolerable by the love, understanding and support of family, and of friends and neighbors who were so close they were like family. A special thanks to the staff of MV/YH Hospice, especially Jayme and Carol, whose several years of help and caring was so appreciated. To all of you, she and her family say "thank you". Her passing leaves a sad emptiness in the lives of all those who knew and loved her. She will be missed so very much, though she'll be remembered with warmth and a smile, mostly for her warmth and smile. One of her favorite sayings was.... "To love and to be loved is like feeling the sun on both sides". Her immediate family is sure her favorite role in life was that of being "Mom" and then grandmother ("Gramma") to six absolutely adored grandchildren. She is survived by her husband Robert of nearly 56 years; her sons Christopher and Jeffrey, both of York, ME, Jeffrey's wife Katherine, and their sons, Alex and Andrew, also by her daughter, Jennifer Schoff of Cape Neddick, ME her husband, Michael, their sons, Ryan, Adam, and Ian, their daughter, Lauren and Ryan's fiancée Hanna Keating. Her song has ended but the refrain will long linger. No services will be held at this time. A memorial service will be held at a future date upon the passing of her husband. In lieu of flowers or donations, it is her expressed wish, that relatives and friends spend some time with a loved one(s), go out to lunch, just "create a memory" and to never take any of those times spent together for granted.